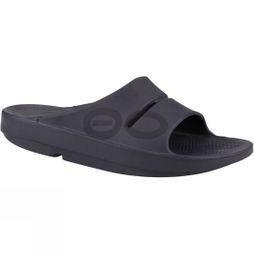 As veterans of the running boom of the 70s and 80s OOFOS knew that stores were already full of athletic shoes designed to drive people's workouts. 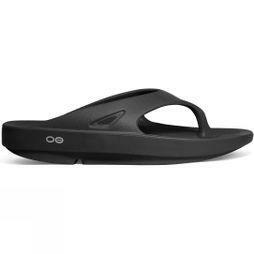 They saw an unmet need for footwear that could help fitness enthusiasts recover from repeated workouts on hard surfaces. What was missing was a material that focused on absorbing impact to provide relief to the body and aid in stimulating the recovery proess. 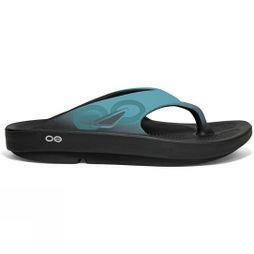 Two and a half years of tireless research, design and development later, OOFOS had a breakthrough on their hands. 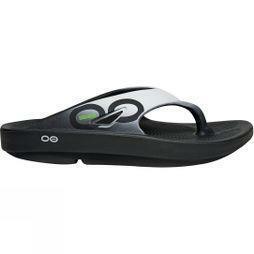 Their revolutionary OOfoam technology combined with a biomechanically engineered footbed gives you footwear that can truly make your hard-working feet and body feel better.